A chain symbolizes many things such as connections, captivity, authority, etc. 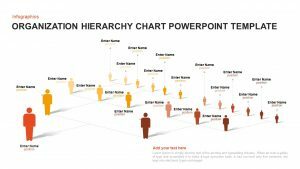 The infographic chain process PowerPoint template is a chain illustration diagram that a presenter can add to model a continuous process. 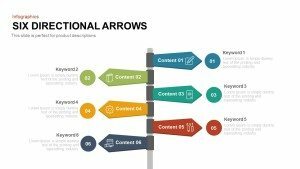 PowerPoint templates are an inevitable part of any presentation. Daily thousands of templates are being uploaded over the internet. But usually most are identically same, and some are not user-friendly which decreases its usability. The audience may get bored seeing the PowerPoint template and can lack interest prior to your presentation starts. 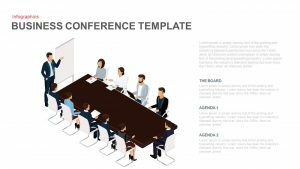 But not to fret with slidebazaar’s startling PowerPoint templates attain the focus of your audience within minutes. 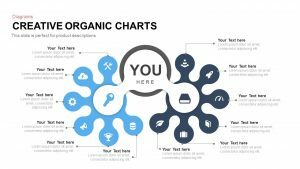 The chain process infographic template will converge the boring element into an entertaining one. In a short time, you will be the master of the presentation. 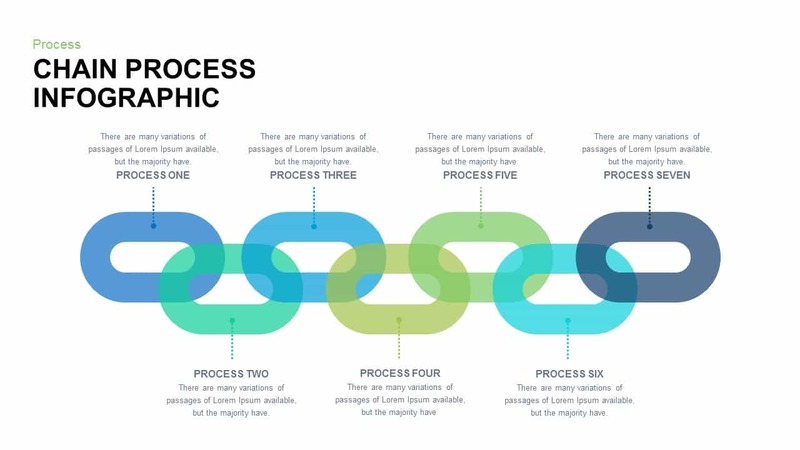 The sophisticated design of chain process infographic will turn your presentation into a remarkable one. The chain illustration defines complex processes. Each chain is attached to its preceding one which defines a continuous and interconnect process. It’s a tough design which would be ideal for communicating the process where customization after completion of a stage can be costly. 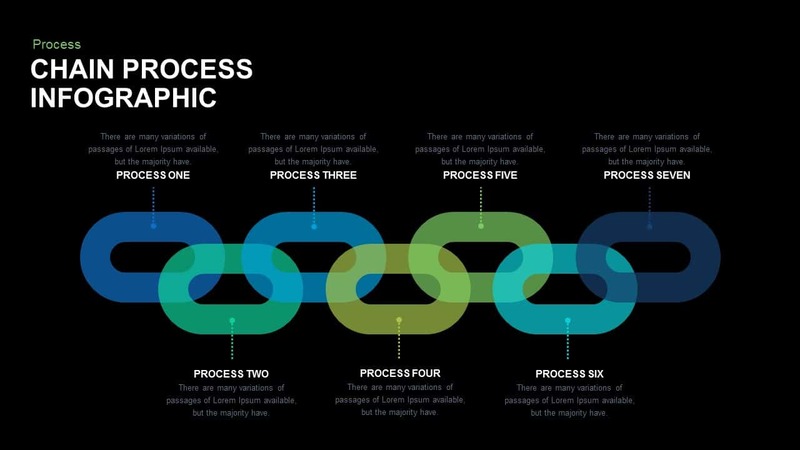 Our simple chain process infographic template includes seven steps. Each step is only represented using text areas. 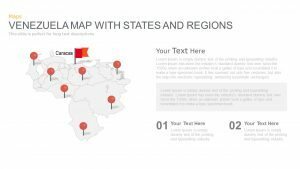 Even though it’s a complicated design but customization can be done within a few clicks, As, the template is designed using PowerPoint objects. Each chain is highlighted using a bright color palette which enables the audience to differentiate the process easily. 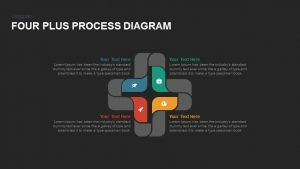 Chain process PowerPoint template is available in both white and black background. 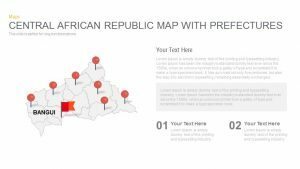 The presenter can even set the background color to match the presentation details. 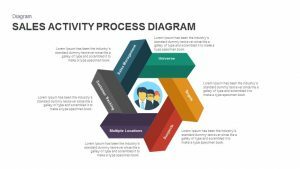 Using process infographics PowerPoint template, you can display a wide range of information. Like sales information, charts, diagrams, etc. Professionals can reveal process, strategies, ideas. 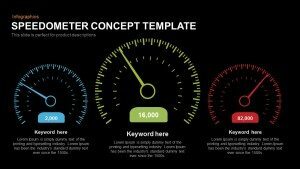 It’s the most creative template designed to show the timeline process. 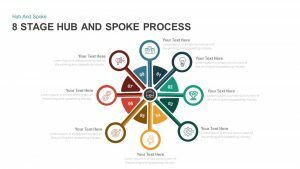 The presenter can even highlight the work process sample design which includes Discover, Plan, organize, Building, Deploy, grow and measure. 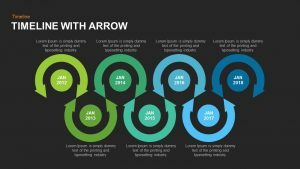 Add these great timeline templates are precisely delivered your process in a chain process illustration. 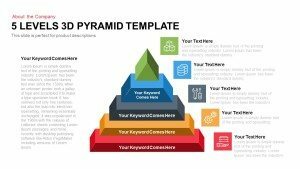 You can access more Chain Templates here Grab the free ppt now!